Since the recession, Michigan has added manufacturing jobs at a rate unmatched by any other U.S. state, recovering nearly 100,000 jobs over the past seven years, a 16% increase. This article will take a closer look at Michigan’s manufacturing sector, delving into specific industry, city, and regional factors. We’ll examine the state’s outlook in light of recent changes such as tax reform and import tariffs, and chronicle Michigan’s unparalleled growth over the past seven years. Michigan manufacturers added 11,285 jobs between February 2017 and 2018, a 1.6% gain. Gains were led by a 2% increase in transportation equipment employment, which remains the state’s largest industrial sector for number of manufacturing jobs, employing 145,292. Michigan’s transportation equipment sector has largely been the engine behind the state’s post-recession growth, adding more than 23,000 jobs in the past seven years. Over this past year, a handful other sectors added jobs as well, including furniture/fixtures; food processing; and industrial machinery. Most sectors, however, saw small upticks in employment, or remained virtually unchanged. Taking a look at regional data, IndustryNet shows Michigan’s manufacturing employment gains were, as in previous surveys, mostly limited to the southern part of the state. Jobs were up 2% in both the state’s Southeast and Southwest regions, grew one percent in the Upper Peninsula and the Northwest, and held steady in the Northeast region. Most of Michigan’s major industrial cities fared well over the year, with significant gains recorded for Grand Rapids; Auburn Hills; and Warren. Over the year, NAI unveiled plans to open a new assembly system plant in Gaylord and LG Electronics opened a facility in Hazel Park. Fiat-Chrysler announced major plans to move production of its RAM trucks from Mexico to a factory in Warren and metal stamping company Flex-N-Gate set up shop in Detroit. Some major foreign investment was also announced, with India-based SUV manufacturer Mahindra breaking ground on a new plant in Auburn Hills, and NAVYA, a France-based self-driving shuttle manufacturer, established an assembly facility in Saline. The Trump administration’s tax reform is expected to spur additional investment among Michigan manufacturers. The new tax measures were met with overwhelming enthusiasm by manufacturers in Michigan and beyond. According to the National Association of Manufacturers, optimism among U.S. industrial companies stands at an all-time high. Fiat-Chrysler directly credited the sweeping reform for its decision to move Ram truck production from Mexico to its facility in Warren, investing $1 billion to revamp the plant. The move is expected to create 2,500 jobs, and FCA also distributed $2,000 bonuses to its 60,000 U.S. workers. FCA CEO Sergion Marchionne said in a press release: "It is only proper that our employees share in the savings generated by tax reform and that we openly acknowledge the resulting improvement in the U.S. business environment by investing in our industrial footprint accordingly." A number of other Michigan manufacturers are beginning to think larger in terms of capital investments, including plastic injection mold manufacturer Seabrook Plastics, Inc. in Norton Shores which recently invested in new equipment as a direct result of tax relief. 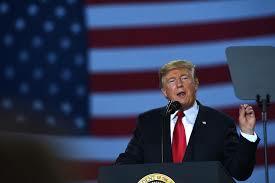 However, the proposed import tariffs on steel and aluminum could deliver a one-two punch to the state’s industrial climate as industries that rely on imported steel and aluminum face higher prices, and some of Michigan’s top export sectors, like food products, face possible retaliatory trade measures. Michigan, in particular, has reason to be concerned, as the state’s auto industry relies heavily on imported steel. There are currently 401,079 workers employed by companies that rely on imported steel and aluminum, according to a study by MarketWatch. Even businesses outside the auto industry are bracing for potential price hikes. Simonds International, for example, which makes oversized blades and knives using hardened steel is worried over how the proposed tariffs will affect their raw materials costs. Hayes Manufacturing, which manufactures couplings exclusively from steel and aluminum is similarly concerned. On the other hand, U.S. steel producers stand to benefit, as companies scramble to rethink their supply chain and search for domestic sources of steel. 8,717 Michigan workers are employed by steel and aluminum-producing industries, according to MarketWatch. As the U.S. manufacturing sector continues to show signs of growth, Michigan remains a top destination for manufacturers to set up shop and expand. Next, we’ll take a look at some of the specific site-selection factors that makes Michigan a great place to do business. A top concern among U.S. manufacturers is the difficulty in finding skilled labor. Many supply executives surveyed in April 2018 by the Institute of Supply Management reported difficulty in finding skilled workers, which has put constraints on U.S. industrial production. Michigan, however, is home to one of the most educated and skilled workforces in the nation, ranking 13th in the nation for its workforce, and 9th for its level of innovation, according to CNBC’s 2017 Best States for Business study. According to the Michigan Economic Development Corp., Michigan has the highest concentration of mechanical and industrial engineers. The state’s educated workforce has served to further boost auto manufacturing as the industry becomes more and more technologically-driven. The state is home to the famed LIFT, a public-private consortium that focuses on helping manufacturers develop advanced lightweight materials and cultivate training programs for workers, as well as the Michigan Manufacturing Technology Center, which specifically helps small and medium-sized manufacturers innovate and compete in a global marketplace. The state ranks high on a number of other site selection factors, including highly competitive business incentives, an abundance of capital and shovel-ready sites. A study conducted by the W.E. Upjohn Institute for Employment Research found the spectrum of tax breaks and business incentives offered to potential Michigan employers were higher than the national average, and ranked first among surrounding states. In conclusion, Michigan’s educated workforce and focus on technology and innovation have helped the state’s manufacturers thrive. Multiple signs point to growth in the years ahead, and many companies are beginning to benefit from recent tax reform, yet challenges remain for the industrial companies that rely on imported steel and aluminum. Next, we’ll take a look at the rise of Michigan’s industrial sector in the years following the recession, based on developments tracked by IndustryNet. Due to its heavy reliance on the health of the auto industry, Michigan’s manufacturing sector was one of the hardest-hit states during the recession. A decade ago, the state was home to 15,975 manufacturers employing 758,696. Those numbers declined precipitously during the recession, and by February of 2011, the state’s industrial workforce shrank to 621,637 jobs. Transportation equipment, Michigan’s largest sector by manufacturing employment, lost 51,000 jobs during the recession. By 2011, however, the worst of the downturn appeared to be over, and Michigan began to re-invent itself as a major hub for U.S. manufacturing. In February 2012, IndustryNet reported its first gain for the state. Michigan added a remarkable 10,252 jobs between 2011 and 2012, as the recovery began to take hold, aided by the auto bailout and state efforts to improve business conditions. Gains were led by the transportation equipment sector, which rose by 1.7% - its first gain in many years. Industrial machinery posted a significant gain, as did electronics; chemicals; stone/clay/glass; furniture/fixtures; and textiles/apparel. Bright spots for the state included the expansion of GM’s casting plant in Saginaw; the opening of Plasan Carbon Composites in Walker; Teijin Advanced Composites’ expansion in Auburn Hills. Hearthside Food Solutions expanded its breakfast bar plant in Kentwood; Benteler Aluminum announced plans to expand its extrusion facility in Holland; and Meijer unveiled plans to expand the Holland-based dairy plant it acquired from Baremans. Michigan’s manufacturing sector continued on its winning streak, adding nearly 15,000 jobs, or 2.3%. Gains were led by the state’s transportation industry, which doubled its job gain in this year, surging 4.3%. Employment strengthened across the board, with a number of industries reporting growth, including industrial machinery; fabricated metals; textiles/apparel; rubber/plastics; electronics and furniture/fixtures. The state’s auto manufacturing sector was boosted by “Big Three” automakers’ continued investments in their Michigan locations. 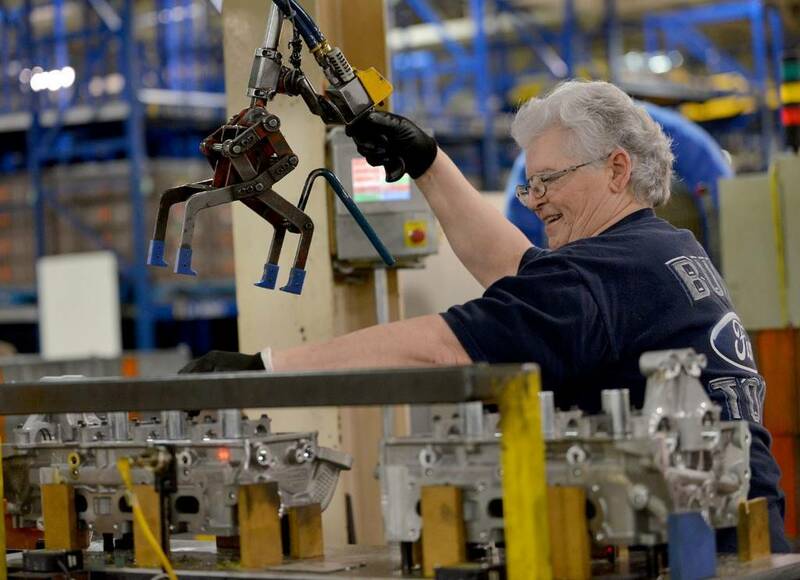 Chrysler announced a $240 million expansion of its Detroit plants; Ford unveiled plans to invest $773 million to expand hiring at six factories across the state; while GM announced an expansion of its Lansing facility. In response, several auto suppliers broke ground on new operations, or expanded existing ones, including Detroit Manufacturing Systems, which opened an auto parts plant in Detroit to supply Ford with instrument panels, and Brose North America opened a new facility in New Boston. Michigan manufacturers added another 13,000 jobs in this year, slightly less than the prior year’s survey, but still outpacing gains reported for most other states. The transportation equipment industry grew by 2% in this year, while significant gains were reported for industrial machinery and fabricated metals – many of them suppliers to the auto industry. Good news for the industry kept pouring in, with Ford announcing plans to expand six plants in Southeast Michigan and GM’s $450 million investment in two Michigan factories. In addition, Comstar Automotive opened a new plant in Tecumseh; South Korea-based auto supplier Hanwha L & C opened a facility in Monroe; auto supplier Brembo expanded its Homer factory; and American Axle continued to hire at its Three Rivers plant. Chemical processing; stone/clay/glass; paper products; and furniture/fixtures also posted notable increases in employment. Additional bright spots included the opening of Thomson Plastics in Howell; the expansion of Tubelite Inc.’s facility in Reed City; and the establishment of Chemetall’s new factory in Blackman Township. In this year, IndustryNet recorded its first manufacturing job gain for Detroit since it began reporting on the city’s industrial sector in 2006. Manufacturing employment in Detroit rose 1.8% in 2013, after sinking 40% over the eight years prior. Industrial companies in Detroit account for 31,125 jobs, compared to 52,019 jobs recorded in 2006. In this year, Michigan gained another 14,000 manufacturing jobs in its fourth straight year of gains, recovering 40% of the jobs lost during the recession. Jobs in transportation equipment grew by another 2.4%, while industrial machinery; rubber/plastics; fabricated metals; textiles; and food processing. Over that survey period, Ford, GM and Toyota announced plans to expand facilities across the state, and suppliers such as Denso Manufacturing Michigan, Challenge Mfg, Android Industries, and Magna International also announced expansions. Detroit posted a loss of 3.5%, but still held its #2 place among Michigan cities with the most manufacturing jobs, employing 30,019. In this year, Michigan gained nearly 18,000 jobs, or 2.6%. 5,000 of these jobs were added in the transportation equipment sector, which edged up another 2.4%. Bright spots for the industry included the opening of Tesla’s new manufacturing facility in Cascade Township; the expansion of Valient International’s automotive skeleton plant in Auburn Hills; the opening of supplier Sakthi Automotive Group in Detroit; as well as the establishment of Kamco Industries in Morenci and Liebherr-Aerospace in Saline. Additional gains were seen in industrial machinery; fabricated metals; textiles/chemicals/primary metals; and rubber/plastics. Detroit manufacturing employment rose 1.2% over the year to 30,369 workers, but lost its second-place to Auburn Hills, which saw industrial employment skyrocket 16% to 30,527 jobs. Michigan added a little over 18,000 manufacturing jobs in this year, and the transportation equipment industry saw its strongest gain yet, up 7% over the year. The Big Three continued to expand, while some major announcements were made, with Ford shifting investment to its Flat Rock facility after ditching plans to build a factory in Mexico, and Fiat-Chrysler’s expanding its Warren truck assembly plant. In addition, Grupo Antolin announced plans to establish a new auto interiors manufacturing facility in suburban Detroit, and Coastal Automotive unveiled plans to expand its factory in Holland. Additional gains were seen in stone/clay/glass; food processing; industrial machinery; and electronics. Detroit added 6.4% to its manufacturing workforce, while Troy; Holland; and Sterling Heights posted significant manufacturing employment gains. Next, we’ll take a closer look at Michigan’s manufacturing sector, exploring its major industrial cities and regions, as well as its top companies. 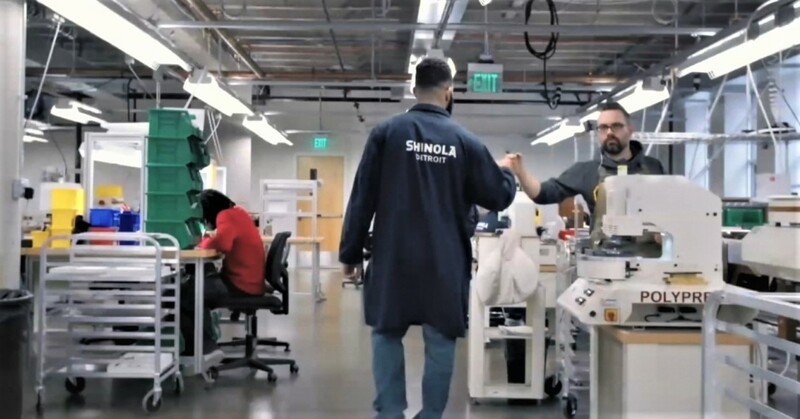 MNI’s team of more than 80 researchers scours hundreds of sources to zero in on every manufacturer in the U.S. Each manufacturer is contacted multiple times annually to ensure its information remains up-to-date and complete. Our state-by-state industrial employment surveys are based on this data, allowing us to compare jobs counts in a given industry, state, region or city from year to year. To access detailed profiles of Michigan’s 14,000 industrial companies and their 41,000 executives, learn more about an IndustrySelect database subscription, powered by MNI data. Or, to connect with industrial suppliers in Michigan and across the U.S. start your free search on IndustryNet. IndustryNet allows users to search and source more than ten thousand types of products, parts, supplies, and services for free. IndustryNet® lists every U.S. manufacturer plus thousands of wholesalers & distributors and industrial service providers. Related Companies: Access Business Group, Amway Corp., Android Industries, LLC, Brembo North America, Challenge Mfg. Co., Chemetall U. S., Inc., Coastal Automotive, LLC, Comstar Automotive USA, LLC, DENSO Mfg. Michigan, Inc., Detroit Mfg. Systems, LLC, FCA US, LLC, FCA US, LLC, FCA US, LLC, Mack Engine Plt., Flex-N-Gate Battle Creek, LLC, Ford Motor Co., Michigan Assembly Plt., General Motors Co., Lansing Delta Township, General Motors Global Propulsion Systems, Gentex Corp., Hayes Mfg., Inc., LG Electronics USA, Inc., Mahindra USA, Inc., Nexteer Automotive, Sakthi Automotive Group U.S.A., Inc., Seabrook Plastics, Inc., Simonds International Corp., Tesla, Inc.